Online access to the Springfield Town Library will not be available from Friday, July 26, 2013 at 5:00 pm until Monday, July 29 at 9:00 am while the Library is installing the new Catamount Library Network computer system. The Library building will be closed to the public Friday, July 26 at 5:00 pm and will reopen Tuesday, July 30 at 9:00 am. We apologize for the temporary inconvenience. With the new system, access to your account will change. Your username will remain the 14-digit barcode number on our Library card, but your password will change to the last 4 digits of your phone number. Please contact the library if you have trouble logging in to your account. Fines will also increase, effective August 19, 2013. Overdue fines will be 25c per day for adult materials and 15c per day for children’s materials. We've learned about rocks and minerals and have been dazzled with magic. Coming up is a chance to meet some animal diggers, hear stories, eat ice cream, and sing. All of it happens at 10:00 am Wednesday mornings. Hope to see you!! The Springfield Town Library's Calendar of Events for Children is ready! 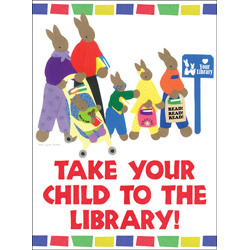 Click on the image to the right or pick one up on your next visit to the library. Calendars will be distributed through the school, too. It will be a summer of fun! !